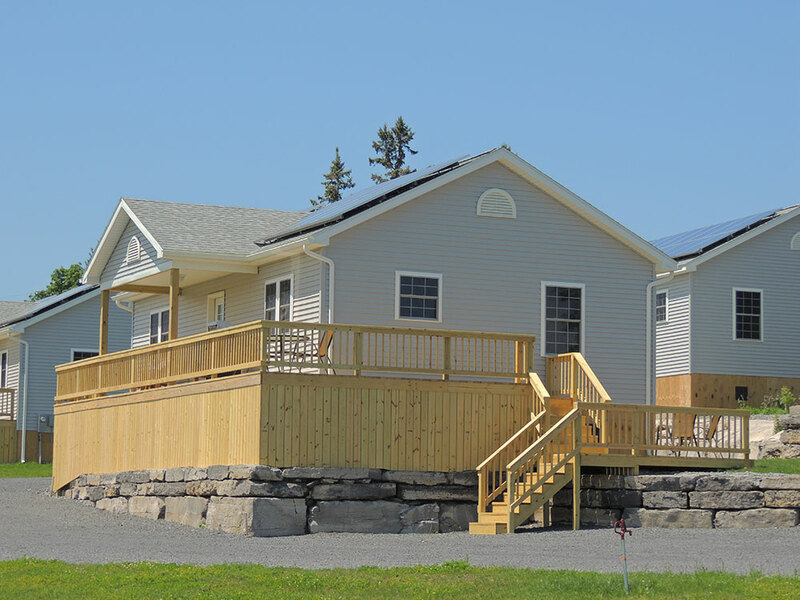 These year round vacation homes, #17, #18 and #19, were newly constructed for the 2013 season. Located near the new in-ground pool area, all three new homes have two bedrooms and two bathrooms with #17 being handicapped accessible. Each bedroom has a queen sized bed and plenty of storage space for your belongings. The dining table seats 6 and the kitchen includes both dishwasher and washer/dryer. . The living room features pocket doors, which make it a great option for a third bedroom when making use of the sleeper sofa. These homes also offer central air conditioning, heat, electric fireplace, TV with cable service and wireless internet access.